Saxophonist Dan Burke first showed an interest in the instrument at the age of twelve. Growing up in the western Chicago suburbs, Dan was exposed to a wide variety of music from Irish songs of freedom to rock and blues, but it wasn’t until he heard the elating sounds of jazz did he want to pursue a life in music. 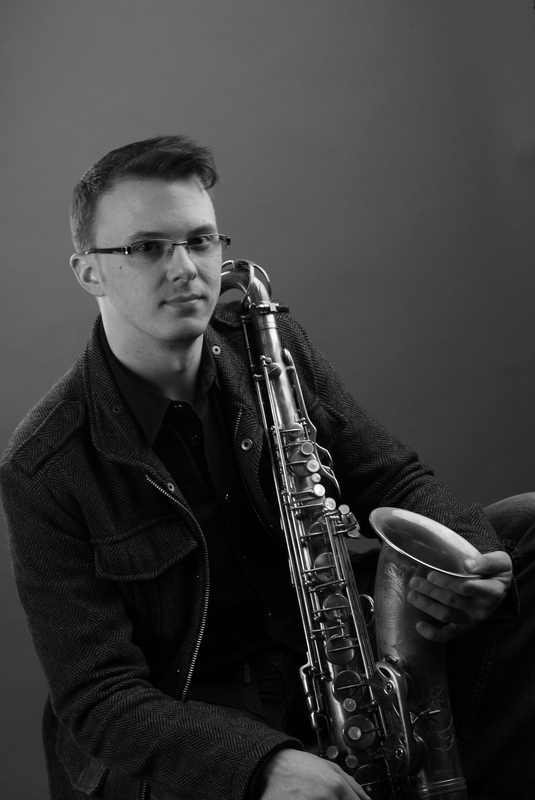 While in high school Dan won various awards and recognition playing in various jazz and classical honor groups including the Honor Band of America and the Youth Jazz Ensemble of DuPage. In 2003, Dan enrolled in Northern Illinois University where he studied under many outstanding musicians including Steve Duke, Todd DelGiudice, Fareed Haque, Greg Beyer, and Art Davis. While attending NIU, Dan soaked up all the University had to offer playing in small and large classical and jazz ensembles including the world renowned NIU Jazz Ensemble as well as playing in the different world music ensembles including the Latin Jazz Ensemble, the All-University Steel Pan Ensemble, and taking a semester on tabla. Through these experiences Dan honed his skills as a musician as was able to play with some of Jazz’ top musicians including Charles McPherson, Robin Eubanks, and John Clayton. Dan graduated Northern in May of 2008 with a B.M. in music performance with an emphasis in Jazz Studies. Shortly after graduating, Dan moved to Chicago where he quickly established himself as a prominent saxophonist in the music scene. As a sideman or with his own band, Dan has played at many noteworthy venues including The Green Mill, the Jay Pritzker Pavilion, The Jazz Showcase, Andy’s Jazz Club, and The Whistler. Dan has appeared on various recording projects including Alejandro Fernandez’ In the Last Minute, SoundFrame’s New Reality, and jazz-metal band Conflux’s Spark. In 2016 Dan released Silhouettes in the Glass Sky, his debut album featuring eight of his compositions along with some of Chicago’s top Jazz talent. Outside of performing, Dan is a passionate educator, giving masterclasses and clinics in addition to keeping a thriving private lesson studio with students from across Chicago and the surrounding suburbs. Contact Dan for booking his bands or setting up private lessons!